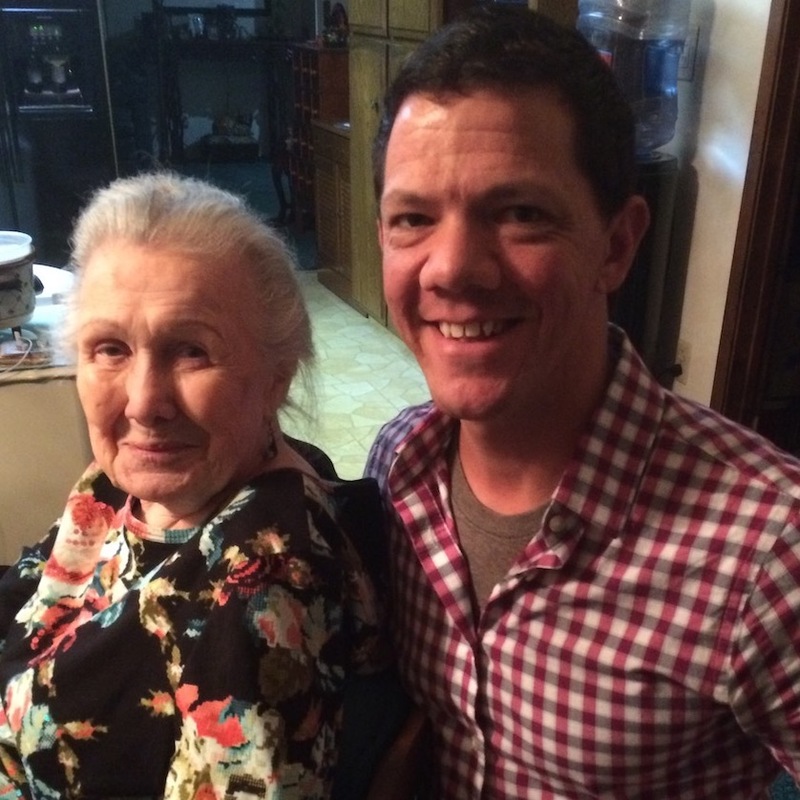 In March of 2018 I was able to spend a full day with WCS legend Skippy Blair at her house. At the time of my visit Skippy had just turned 94 years old. Skippy was instrumental in naming west coast swing in the 1950's. She helped it become the state dance of CA in the 1980's and was the co-founder of the WSDC. Wanna learn more about Skippy? Click here to learn more about here and read our Skippy Series in order. Once thought of as a difficult dance to learn, West Coast Swing has become easy to understand through the use of the Universal Unit System®. Anyone who can dance Triple Rhythm (3 steps to two beats of music), can learn West Coast Swing in just a few lessons. Even if you have had trouble with Triples, learning the Universal Unit System® can make easy work of dancing a “Triple” and easy work of learning this exciting “California Dance”. Explaining all of the possibilities in ANY dance, makes the dance sound complicated. When teaching basic math skills, we don’t talk about fractions and decimal points. We concentrate on learning to count, to add and subtract. That lays the foundation for all future learning. 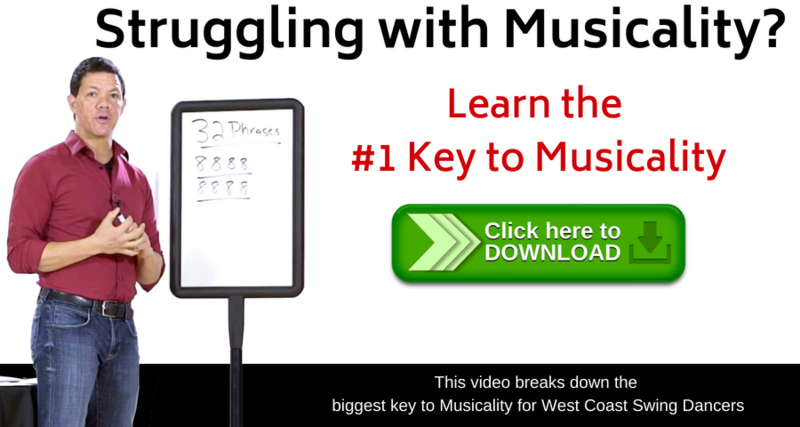 Our first introduction to west coast swing is teaching a Triple Rhythm Break. By teaching triples only, the students learn to stay Centered over the Right foot for a Right Triple and Centered over the Left foot for a Left Triple. This allows the dancer to start feeling where each individual rhythm starts and ends. The student soon learns to distinguish a Left Triple from a Right Triple. This all takes place on lesson #1. Followers are taught that they will start every pattern with their Right foot by walking forward on Count-1 and Count-2 of EVERY pattern. 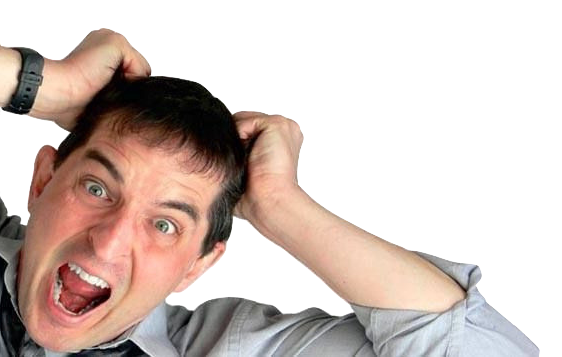 Followers soon learn that they are feeling the same thing on Count –1 and Count-2 of every basic pattern. This simple statement gives the dancer confidence, just owning that piece of knowledge. Leaders are taught that they will start every pattern with their left foot on Count-1 by stepping in the direction that he wants the follower to go. It she is facing him, his first step will be back. If she is behind him, his first step will be directly forward. Many times, on Count-2, his right foot simply returns to where it was before Count-1. The next most important piece of knowledge is how to Anchor. Each partner learns that counts “&a5 &a6” of a 6-Beat pattern, it is an Anchor Triple. He keeps his right foot behind his left foot and she keeps her left foot behind her right foot. The follower knows to walk forward on Count “1-2” of every pattern and to end each pattern with a Left Triple, (at basic Triple Level, a Triple Rhythm Anchor takes place on every “&a5 &a6” of a 6-Beat pattern). That only leaves the foot placement of the followers Right Triple, on counts “&a3 &a4” to deal with. Simply stepping three times: (Right & Left Right) for counts “&a3 &a4” while keeping an eye on your partner, really works. A verbal Call of “WALK WALK & a Step & STEP-STEP and an ANCHOR in place” usually has the new dancer feeling comfortable and confidant on the first lesson. The follower is also taught to keep their CENTER (Center Point of Balance) and their eyes, facing their partner. The leader learns to stay centered to his partner as he does his Back Rock or Forward Rock (according to the location of his partner). He has learned to anchor in place on Counts “&a5 &a6” of every “6-beat” pattern. The Call for his Left Triple is simply: “step and together forward”. (A Left Triple on Counts “&a3 &a4). IMPORTANT NOTE: Stay with the rhythm pattern of DOUBLE TRIPLE TRIPLE for the entire series. Using a “tap step” (delayed single) instead of a Triple will not only slow down the learning, but will impede the process of dancing from the CPB (Center Point of Balance). The GSDTA suggests teaching a Triple Rhythm Break first, then a Left Side Pass, followed by in Underarm Turn. They are taught in that specific order to facilitate learning. However, once learned, the sequence is changed in order for the student to become familiar with the sound of feeling of musical phrasing. The final sequence for that first lesson, phrases to 32 beats of music. Level I Music is appropriate for teaching level I patterns. Level I music starts with two sets of eight as an introduction, followed by a series of four sets of eight that is usually repeated four times before starting another major phrase. This beginning amalgamation, repeated over and over, soon becomes routine. The first lesson establishes both Rules of Movement and Rules of Timing. 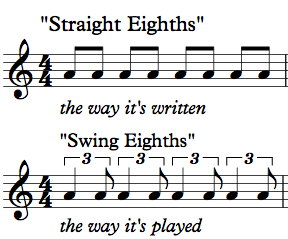 By repeating the four “sets-of-8”, the dancer starts to recognize when a phrase in the music is ending. The student soon learns that a new sequence starts over on a new phrase. Understanding this concept establishes a great feeling of confidence for the new dancer. It is exciting to see a student’s eyes light up when they first feel the music and the dance come together. In addition to being a great learning experience (by actually dancing on phrase), this first lesson has also been fun, mainly because it worked. The educational experience is evident when the student has learned to understand the following dance terms: Centering – Sending Foot – Receiving Foot – Triple Foot and Right Triple. The student has also begun to really feel the connection between the music and dance. Also, by teaching on phrase, the student’s body starts to feel where new phrases begin and end. Each subsequent lesson should add only one new pattern – by rearranging the sequence, in order to keep the lesson moving, and exciting. By staying with the basic rhythm pattern of double, triple, triple for the first series of lessons, the student becomes familiar with body placement and leverage and becomes more sensitive to how the dance relates to music. Learning rhythm to install variations at a future time is much easier when the student has learned all of the baisic “6-Beat” patterns, using that consistent Rhythm Pattern of Double, Triple, Triple. This method of teaching is part of the Universal Unit System®. 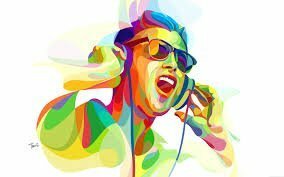 Its main focus is based on creating a strong connection between body movement and music. Staying with one rhythm pattern allows the new dancer to absorb other elements while drilling the foundation upon which future lessons can be built. All participants: Together – facing the same direction. Next – Change the call to: “&a-Left & Right-Left - &a-Right & Left-Right. All participants are learning Left Triples and Right Triples at the same time. Next – Start in “One hand” position, partners facing each other. Teaches centering over the Unit Foot – Rolling Count – and teaches follower to swivel on the “&a”. Teaches leader to lead from his center point of balance. Learning Anchors early is an excellent way to cement the anchoring process at the beginning. Followers Call: Forward, Forward &a-Side & Cross back - &an Anchor in Place. Leader learns to turn left on the “&a”, following Count-2. Leader learns to pull his left hip and left shoulder back on count-2. Leaders call: Back left (keeping R hip back), Forward Right (rotating R) – step and together forward – and an anchor in place. Leader learns to turn right ON Count – “2&a” – facing partner before “3”. Follower cements the pattern she learned as #1. Follower looks Left on Count-2, at partner by Count-3, and drives back on “4”. NOTE: The excitement generated when the class first dances on phrase to the music is fantastic! The amalgamation below will phrase precisely – to any music that has 4 sets of 8. Repeat the same 4 sets of 8 as many times as necessary. 2 Left Side Passes, 2 Underarm Turns and one Triple Rhythm Break facing each other (though Count-4) – and 1 Triple Rhythm Break with an Anchor. The Left Side Pass on the DVD is a bit more difficult to teach to beginners than the one listed here. Some people prefer this new version. Quite a few prefer the one on the DVD. BOTH are correct. I would personally suggest the new one - simply because that is the one that many of us are using now. That one simple change took place only one month after we completed the DVD. Get all our best stuff sent straight to your inbox! 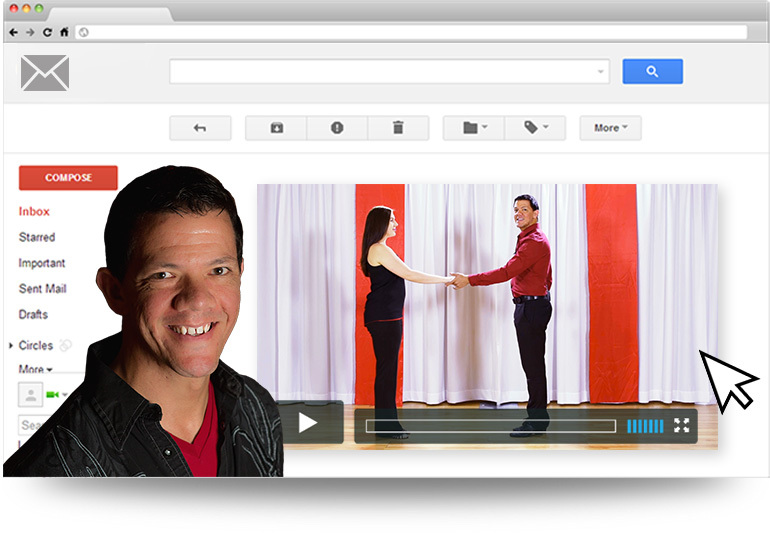 I personally send AWESOME - FREE WCS videos to over 10,000 west coast swing dancers 2 times a month. Click the link below and I'll send you some of our most popular videos. Great hearing about Skippy Blair. It would have been nice to have seen a video of her dancing when she was in her prime. Like her statement “Brian, I didn’t plan on living this long but as long as I’m here I’m going to try to contribute.” I wish her good health and many more years of joy as she contributes her great knowledge of dancing to all of us lovers of dance.